THE PROBLEM: Living in and of this world. THE WORD: Live in the spirit. We must choose, we want it both ways. With or against. I do NOT think God does bad things to us…but when we get away from God, we are separated from god, we are more prey to the world, sin, and so on. Know this…John 10:10 The thief comes only to steal and kill and destroy; I have come that they may have life, and have it to the full. Di—vide, separate. 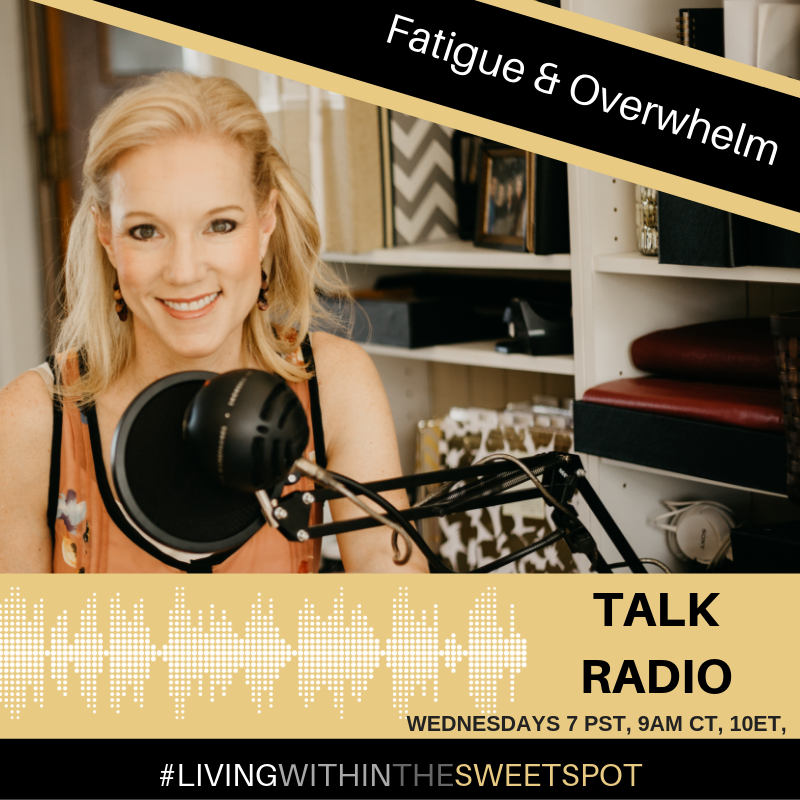 SEE THE DEFINITION OF OVERWHELM IS TO FEEL DEFEATED, IN MIND, BODY AND SPIRIT. Identify where you might feel defeated, one place or all 3. How are you trying to fix it? How do you use God? 1 Corinthians 10:31 So, whether you eat or drink, or whatever you do, do all to the glory of God. Start considering who he made you to be. Who will feed you what…the world or the word? Remember God is love and fulfills us…He does not empty us. Body is a temple: 1 Timothy 4:8 For while bodily training is of some value, godliness is of value in every way, as it holds promise for the present life and also for the life to come. Sleep >7, eat 3’s, exercise: take out bodies for granted (donor) gift take care of it. Spirit: Ephesians 4:22-24 to put off your old self, which belongs to your former manner of life and is corrupt through deceitful desires, and to be renewed in the spirit of your minds, and to put on the new self, created after the likeness of God in true righteousness and holiness. THE GIFT: Fruit! Galatians 5:22-23 But the fruit of the Spirit is love, joy, peace, forbearance, kindness, goodness, faithfulness, gentleness and self-control. Against such things, there is no law.. THE CHOICE: Go for it! LET ME HELP: Do the Sweet Spot Experiment and book a free one on one with me. Michele: I’m exhausted. I have a demanding job, kids at the ages where we are running all around. I love everything I do but I’m getting to the point where I can no longer do it. I have been putting on a happy face for years now because the Drs. tell me I am fine and everything checks out. I don’t think I can keep it up. Ken: Can you give me some idea of what to do next? I have work that I have enjoyed for years. I am a director and enjoy leading but for some reason, I keep finding things to be frustrated about, bored or lacking. I don’t get because it isn’t as though things have changed. It is like I have. This work that used to energize me is now draining me. I think. Or maybe I need to get checked out at the dr. but I wouldn’t know what to say other than I am exhausted.